Remember the right to vote? That was a fun right, wasn’t it? Elie and Joe talk to Professor Rick Hasen about the voting rights and redistricting battles being waged at the nation’s highest courts. Also, apparently you can run a whole course on what’s wrong with election law by only using examples from North Carolina. Good job Tar Heels. Joe Patrice: Hello, welcome to another edition of Thinking Like a Lawyer. I am Joe Patrice from Above The Law. With me, as always, the incomparable, Elie Mystal. Elie Mystal: I am on vacation in 23 and-a-half hours and I am just — I am like offended that I have to still be at work. There should be some kind of pre-flight vacation thing where like the last 24 hours before your work vacation, you also don’t have to work. Joe Patrice: Yeah, I don’t think it works that way. But, congratulations on vacation. Have a little audience applause there, because yeah, I figured out how to do sound effects. Elie Mystal: I’m not going to be vacationing in New Jersey like our President because I have — what’s the word I’m looking for “class”? Joe Patrice: Hmm… where are you going? Elie Mystal: Yeah, I wish you didn’t ask that, yeah, that kind of is going to blow my spot up. Joe Patrice: Oh, so it’s less classy than New Jersey? Elie Mystal: — with my two children so I will be spending a good portion of my vacation in a piss-filled water park. Joe Patrice: Well, that’s I mean, hey. Joe Patrice: Chlorine does amazing things. Elie Mystal: Yeah, that’s why I am going to be drinking some starting tomorrow. Anyway, so 23 hours and 25 minutes, let’s get this over with. Joe Patrice: Alright. So did you have anything you wanted to complain back today? Elie Mystal: I did. I actually did want to complain about something today. I was going to complain about Trump, but today on Above The Law, today, when were recording this today on Above The Law, Kyle McEntee wrote just an explosive report about what the ABA is doing to its job statistics that they are requiring law schools to report, and the long and the short of it, is that the ABA is just trying to make it easier for law schools to lie and mislead students about their employment statistics. They under the guise of simplifying it and efficiency, they’ve made all these changes that, for instance, now allow law schools to lump in jobs that the school themselves are paying for with actual jobs that people get, which is going to mislead students. They are no longer requiring law schools to report the denominator. How many students are there, right? So it makes it so much harder to get a good statistical representation of what percentage of the graduating class is employed. It’s just a lot of sneaky, dare I say, Trumpian bullcrap that’s really just designed to mislead prospective students. It’s horrible, and I just read this report, I can’t believe they’ve done it. Joe Patrice: Wow. Well, the ABA annual meeting is right around the corner, so maybe we will get a chance to ask some people what in the world they’re thinking. Elie Mystal: I’m pissed, but I mean, again, vacation, so, come on. Joe Patrice: Right, fair enough. All right, well what we wanted to talk about today, some of you or regular listeners know we had Tejinder Singh on a couple weeks ago talk about the Supreme Court term. One topic we did not cover when we went through all the big things that happened in the Supreme Court was the election law stuff that happened this term, and the reason for that is now abundantly obvious because we have Professor Rick Hasen from Irvine out here, they are like Guru of Election Law. So we’ve brought him on to talk to us about not only the election and districting cases that we dealt with in this term, but what’s on tap for the future and just election law generally? Elie Mystal: Professor Hasen, first of all say hi. Elie Mystal: How you doing? Rick Hasen: I am doing well. Elie Mystal: I wanted to start with just for our listeners because I think it’s — I think your work here has been so crucial. Can you just start by explaining to everybody what this Voter Fraud Commission thing is, and why it’s terrible? Rick Hasen: Sure. So you may remember that before the election Donald Trump was claiming that there was a lot of fraud going on, especially in minority areas like Philadelphia, and he was claiming that people were voting 5 or 10 or 15 times. He kind of abandoned that claim after he won, but because he lost the popular vote I think he claimed based on some really bogus and unsupported evidence that three to five million non-citizen voters voted in the election. He was trying to explain why he lost the popular vote by about three million votes to Hillary Clinton, and he said in an interview right after the election on ABC that he believes all of these millions of fraudulent votes went for Hillary Clinton, not one went to him. So this has been one of his obsessions I think related to the fact that he lost the popular election, and he said back in January that he was going to form a Commission to investigate this phantom voter fraud. He finally formed a Commission, it took a number of months. It’s not like other election commissions we’ve seen which are headed by bipartisan leaders, one Democrat — one Republican, like we had one Commission with President Carter and President Ford, elder statesman of each party. This is dominated by Republicans and it’s dominated by a number of Republicans who have a history of making false and exaggerated claims of voter fraud and using it as a basis to argue that we need to make our voting laws tighter. So to make it harder for people to register or make it hard for people to vote groupfying the ID or cut back on early voting, and so this Commission has been formed, the Secretary of State of Kansas, Kris Kobach is the Vice Chair, the Vice President Pence is the Chair, but it looks like Kobach is the one running the show. One of the controversies early on is they want to collect data from States to figure out with some kind of program that is apparently going to be run by White House staff, how much fraud there might be, we’re not sure exactly what it is. A lot of states have resisted giving data, some of the data that’s requested, it’s illegal for states to give, even Kobach himself as the Secretary of State of Kansas couldn’t give all the data that the Commission want to, but they are getting some data, they’re going to do something, they’re likely going to issue a report, that report will likely claim that if voter fraud is not proven, it’s at least a potential problem and I would suggest — I expect they will suggest changes to election rules to make it harder to register and to vote. Elie Mystal: One of the things that we’ve been tracking is the — again we’re trying to read the tea leaves a little bit, but the potential for them to — for them, Kobach, the Republicans to really try to roll back the Motor Voter Law and really try to make it significantly difficult for people to register, right now as I think most people know, you can register at the same place where you get your driver’s license and they might try to take that away. Rick Hasen: Yeah, that’s right. Now the Motor Voter Law passed in 1993 signed by President Clinton, I’d say three provisions to keep an eye on. One is the part that requires that states offer registration opportunities not just in motor vehicle departments but at public service agencies like welfare agencies which has always been a target for Republicans because they think that people likely to vote Democrat register there. So one change might be where you have to offer registration. A second change might relate to what has been Kobach’s key issue which is allowing states to require documentary proof of citizenship, show us your papers before you’re allowed to register to vote, something he’s been fighting for and so far losing in courts on that question. And the third part of the motor voter law that could be up first for grabs is the part that requires states to keep their voting rules clean and those rules could be changed with the potential to — if you make the rules too tight, disenfranchise legitimate voters, and we know that Kobach has been involved in a program called Crosscheck, which is a voluntary program, that some states have been participating in, that tries to match voters and remove duplicate voters across states who might be registered in more than one State. According to one study out of Stanford for every one legitimate voter caught who might be registered in two states looks like the program finds 200 false positives, that is 99.5% error rate with the potential to exclude eligible voters from the voting rules based on this bad data. And it looks like the data that the Presidential Commission is going to get is going to be worse data because it’s not going to include things that make it easy to match people, make sure you have the right John Smith across two states. Elie Mystal: When the courts look at this, and this is a good way to start to transition to the Supreme Court, but when courts look at this, do we think that they are going to be moved by evidence, I mean, it’s weird for we know in this world that most things the Trump administration is trying to do, the court has almost become the third house of the Legislature in its importance right now. Are these kinds of evidentiary standards going to be persuasive do you think to the justices? Are they going to care that, as you said that for every one positive you get 200 false positives? Do you think that’s going to be persuasive in any way? Rick Hasen: Well, I don’t know that any issue directly related the Commission will get before the Supreme Court, but the court does have a case that’s coming up, likely in the fall a case out of Ohio on what the Motor Voter Law standards are for purges, that is, what do you have to show in order to remove someone from the roles, is it enough that they haven’t voted in a few elections or do you have to do more? And so the court is going to be considering that question. I expect that we could well see the court divide along party and ideological lines, that is, the Republican-appointed justices being more willing to defer to the State when it says it needs to do these things to prevent fraud and the democratic point of justice is being resistant out of fear of disenfranchisement. Elie Mystal: Please don’t say that. Rick Hasen: — if you’re watching Fox News versus you’re watching MSNBC you have a different picture of how much voter fraud there might be and how big of a problem it is, and so I think that colors their worldviews. I’m not saying that any of the justices are making decisions consciously to help the political party from which they came, but they kind of get a worldview, we see this in the lower courts too. When North Carolina is very strict, voting law was challenged, we had a Republican-appointed judge in North Carolina say, in a 485-page opinion in the law’s AOK. It went to a panel of three judges on the Fourth Circuit all democratic judge appointees who said, no, it’s intentional race discrimination, it targets African-Americans with almost surgical precision. And then an emergency motion went to the Supreme Court which divided four to four, this is when Scalia had died and Gorsuch hadn’t gone to the court dividing along the party ideological lines that I described, and with the addition of Gorsuch if that continues, we might see party line decisions in these voting cases going forward. Joe Patrice: So want to talk a little bit about that case, but before back to the Kobach thing, my favorite part about this whole Kobach Commission thing of course is this ACLU matter, that’s going on in the Circuit where he’s in trouble because — like if you’re one of those people who believes that this administration is not so much evil, but the gang that can’t shoot straight, he’s being sued over some documents that they want released that he is in contempt of not — and by not releasing and there are documents that the ACLU knows exist because he took a picture with Trump with the things in his hand and high-resolution cameras being what they are, everyone knows those documents now exist so they were requested. Rick Hasen: Right. So this is part of this long-standing case involving this proof of citizenship that Kobach wants to be able to require in federal elections so far courts have said you can’t do that and ACLU in discovery asked for this document which we know from the picture was a document where Kobach was suggesting some changes to that 1993 Motor Voter Law, the National Voter Registration Act and Kobach said that documents are not responsive, a Federal Magistrate Judge took an in-camera look, took a look without letting the other parties see it and said, no, they are responsive and your answers are misleading and you’re fined a $1,000, and being ACLU you cannot take your deposition about this document. Kobach appealed that sanction to the regular District Court Judge, the District Court Judge not only affirmed the $1,000 sanction, but said you’ve done a bunch of other misleading things too and then Kobach went to the Tenth Circuit and tried to stop the deposition claiming this is going to deter him from providing candid advice to the President, and just yesterday as we were taping the Tenth Circuit Panel, two judges, one democratic point judge, one Republican point judge, said, no, we’re not stopping the deposition. Now unfortunately for all of us the Magistrate’s order says that the deposition is not public, the ACLU can’t release a transcript or a recording or anything. The information may come out and later filings, but as of now this is not going to be public, it’s a 60-minute deposition and the Magistrate Judge was so concerned that Kobach would stonewall and not answer questions that the Magistrate Judge will be present to rule on objections immediately, and this is really unusual. Elie Mystal: Wow. That is a straight up you cannot be trusted. Joe Patrice: Yeah. Well, so we teased there, the North Carolina cases. So North Carolina redistricting, now I had an interview when I opt for another show for the LTN network, one of our On the Road series. Last year I talked to a Republican State Legislator in North Carolina and he was — he was duly dumbfounded by the idea that anyone would think that what they were doing was wrong, I disagreed. However, the real crux of the problem like the one sympathy, I mean, I think there are bad actors there, but the sympathy one would have is that you have to take race into account for certain voter right issues, but you can’t let it predominate for others and where that line is, is not entirely clear all the time, is that fairly accurate? Rick Hasen: Yeah, let me just backup for a second and say that the North Carolina case that I was referring to was a different North Carolina case. Rick Hasen: This was a case involving their strict voter ID and other law. Rick Hasen: And in that case I think I was a little partially responsible for this. North Carolina had filed a cert petition after the Fourth Circuit said that this law targeted African-Americans with almost surgical precision. They filed a cert petition and after that happened you got a Democratic Governor, Democratic Attorney General and I said, I wrote a piece, I said, hey, why don’t they try and withdraw the cert petition? And they did and the North Carolina Legislature said, now you can’t do that, we speak for North Carolina and the Attorney General said, no we speak for North Carolina. A bunch of filings in the Supreme Court and the Supreme Court decides not to hear the case. Chief Justice Roberts issues a statement respecting the denial of search something unusual to do that, but it is not unheard of, but — and he says, this is a mess, it was a bizarre set of circumstances fighting over who speaks for North Carolina, don’t take this as any ruling on the merits and the Republicans in North Carolina took that as a signal, oh, okay, we’re going to enact a new voter ID law, it’s already talking about that. So it just to bracket that. That’s one thing that’s going on in North Carolina. I could teach an entire election law class just using cases from North Carolina. I really could, I mean, it really covers everything. So, there have been a series of cases challenging North Carolina’s redistricting. I should point out that when Democrats were in-charge they drew some very funky lines themselves, drawing lines to favor your party something both Democrats and Republicans do, we hear more about it from Republicans these days because Republicans control more State legislatures, but both parties have done this, and in fact, one of the key voting cases from the 1990’s was the case called Shaw v. Reno about couple of congressional districts in North Carolina. Those districts have now to this point same districts been considered by the Supreme Court in five separate cases now with Republicans in-charge, so it’s just a mess. And you’re right, the Voting Rights Act says, you must take race into account to make sure that you’re not depriving minority voters of the same opportunities of others to participate in the political process and to elect representatives of their choice, but the courts also said, since that 1993 case, Shaw vs. Reno, if you make race the predominant factor in districting that violates the Equal Protection Clause, you have to hit kind of that sweet spot. Initially these cases were brought to by conservatives to challenge democratic districts that were seen as taking race too much of it into account. Now Democrats have revived this claim and they are trying to bring these racial gerrymandering cases, and so far they’ve been pretty successful cases out of Alabama, cases out of Virginia last year, the Bethune-Hill case and now two cases out of North Carolina one involving Congressional Districts and one involving the State Legislative Districts, both found to be racial gerrymanders by the Supreme Court. Now in the Congressional case after the lower court found that the lines were a racial gerrymander, the North Carolina General Assembly came back, adopted new lines and the head of this legislative leader gets up and says, we are doing this for partisan reasons. This is a partisan gerrymander, which is kind of strange to say that was the defense as in race has nothing to do with it, even though 90% plus African-American voters vote for Democrats. And so, you have this really odd situation. They asked one of the legislative leaders in a State that’s essentially 50-50 Democrat Republican, why did you draw 10 of your 13 Congressional Districts to be majority Republican and the answer was, I couldn’t figure out how to draw an 11th, that would be Republican. So now the question that’s coming back to the court, there’s a pending North Carolina case, but it’s coming up in a Wisconsin case called Gill v. Whitford, it’s whether the court is going to start policing partisan gerrymandering, put aside the race issue, what if you draw lines to favor your political party and hurt the other party? For decades the courts been divided over whether you could bring these kind of claims and what they look like, this may be the last chance while Kennedy is still on the court for the court to rein in some of that partisan gerrymandering. Elie Mystal: Joe, I actually don’t know what your opinion is on Gill? Do you think partisan gerrymandering should be okay? Do you think it’s something that the court should stop? Joe Patrice: I mean, I’ve been — I’m one of those people who thinks that we need to — and I know it will take a lot and there’s federalism issues, but I’m one of those guys who really likes the setups that some states pursue where they take it out of the Legislature’s hands, there’s a nonpartisan group of people who decide lines. I would prefer not to have political actors deciding those lines. Elie Mystal: It’s interesting, and do you think that the people who should force them to do that are the courts or the political process itself? Joe Patrice: Obviously it would be nicer if the political process did itself, we had the situation a few years ago where like the upstate ballot measure did it, I’m not the biggest fan in the world of direct democracy ballot measures but to the extent that that happened. Elie Mystal: Professor Hasen, what do you think on Gill, do you think the courts need to start policing this? Rick Hasen: I was hoping you were not going to ask me that. I’ve long been on records saying that I don’t know that there is a manageable standard for courts to do it, but like Joe I think that nonpartisan districting by Commission or multi-party districting by Commission while not perfect is probably better, and I like that states can use the initiative process in some states like we did in California and in Arizona, to adopt it. But I’ve been concerned that courts don’t have a standard. I’m starting to change my tune for two reasons; one is this race and party question that we’ve talked about at least in places like Texas in North Carolina. It’s so hard to disentangle race and party and it’s so hard to start calling States racist every time they enact a partisan measure, it’s just hard for courts to reach that point. It would solve that problem by focusing directly on the partisanship. The other thing is, as I understand it, in the last decade redistricting has gotten so sophisticated, thanks to the level of data we have and thanks to computer programming that you can essentially draw a District that stays in the same party’s hands very efficiently for the whole decade. Justice O’Connor back in the 1980 said that redistricting was a self-limiting enterprise. If you slice the baloney too thin, you’re going to pay the price if there’s a small shift in public opinion. I don’t think that’s true anymore and the Wisconsin case really shows that that even as Democrats gain in Wisconsin, they’re not gaining anything in the State Legislature. So I’m really torn on this case. I think everybody else I know is filing a brief in the case on one side or the other, taking a position. I’m just watching and waiting to see what Justice Kennedy decides to have for breakfast that day and whether or not we’re going to rein this in or not because it’s almost certainly going to come down to what he thinks on this question, and whether or not he’s changed his mind. The last time the court addressed this question was — in a serious way, was in a case called Vieth out of Pennsylvania 2004 case and in that case the court divided 4-1-4, really unusual. Four justices led by Scalia said these cases are non-justiciable, they shouldn’t be heard by courts. Four liberal justices offered four different standards, kind of like a beauty pageant for Justice Kennedy, which one do you like, and Justice Kennedy in the middle said, these cases are justiciable, I agree with the Liberals. But every standard that’s been proposed is unworkable, I agree with the Conservatives. So let’s keep this open and let’s see if we can come up with something better. Maybe look at history, maybe look at computers, maybe look at the First Amendments and maybe there’s something there. And so Gill which is going to argued the first week of the term really setting it up to be a major case, is really the last opportunity potentially with Kennedy on the court to take a serious look at this question. Elie Mystal: I hope the math is what saves us. I mean, I feel like, I think you just put it exactly right, the math is what’s gotten us into this problem, right? It’s the data and our computational abilities that has really allowed us to gerrymander with such precision as you put it, keep party control in one hand throughout an entire census. But, math is also how we’re going to get out of it and I think find some real kind of computational algorithms that are kind of geometrically based that’s going to work out. So, Joe, you were saying you put in a non-partisan Commission, man, I would put it in a non-partisan Commission of robots. I want Watson draw on the Districts at this point. Joe Patrice: For the record this now marks two consecutive episodes where Elie thinks it’s all going to work out if we just put robots in charge. Elie Mystal: Oh my god, you are right. Joe Patrice: Yeah — no, you’ve turned the corner. Are you one of them? I’ve never tested whether or not you’re a Cylon. Rick Hasen: I would say Elie that for somebody who cares about the Voting Rights Act as both you and I do, the robots might not be very good at drawing districts that promote minority voting rights, and this is one of the concerns, and that what we mean by representation is something that might not be able to be done by a computer. I think the better use of computers and what we’re seeing a lot of social scientists trying to do now is, let humans design the plan and then run a bunch of computer simulations to ask whether if you did say 10,000 other plans using neutral criteria, would they have a better partisan balance? Some people are trying to use supercomputers to figure this out. So I’m still in favor of humans drawing the lines, but computer-assisted learning can help us to see how much bias there is in a particular plan. Elie Mystal: So whereas I’m going full-on robot, professor is all about cybernetics. Boom. Rick Hasen: Synchronicity, isn’t that what it is? Elie Mystal: By the way for — this is something no listener, but no, because it happened in the office here the other day, but weirdly despite making the argument that robot should be in-charge of everything last episode and making that argument again today, he freaked out like a little kid when he heard this apparently fairly trumped up story about Facebook’s AI getting out of hand and inventing its own language. Like you went into full terror mode and I was like, dude, that’s what you were arguing for. Joe Patrice: I have — look, I am a complicated man when it comes to our soon to be overlords. Joe Patrice: But that’s — that’s neither here nor there. Professor, thanks so much for your insight today. Elie Mystal: Yeah, this was great. Thanks, as always. Rick Hasen: My pleasure and I hope that you have fun in Sesame Land or whatever. Joe Patrice: Meanwhile I am going to a bunch of legal conferences. Elie Mystal: You are going to net routes, right? Joe Patrice: I am going to the ABA annual meeting, then the net routes meeting, which is less legal but there are some legal panels there, then I am going directly from there to ILTACON, which is the Legal Tech Conference. I have a series of one-way tickets, I am not going to be home for something like 17 days which, I guess that’s a good, the President is on a 17-day vacation, I guess that’s a good round number for a trip. My trip will be — that’s a good question, hanging out with lawyers for 17 days, is that going to be better or worse than going to Sesame? We will see. Elie Mystal: Whatever it is, it’s better than going New Jersey like the President is. Joe Patrice: Fair enough, anyway. So, yes, thank you for joining us on the show and thanks for listening to the show everybody, if you are not already subscribed to the show, you should, that way you will know about it. You should also tell everyone you know that the show is great and amazing and you should make a review of it on all the various sites that you subscribe through because that helps the algorithm figure out that we are a legal podcast. 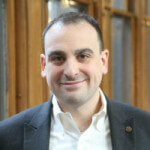 Follow us on all our work on Above the Law, also you can follow me at @JosephPatrice, Elie @ElieNYC. Professor Hasen has a blog also an election law blog which is kind of the go to place for new developments and all of these things, you should go there too. With that I think I have covered now everything. Elie Mystal: I figure that’s all the plugs. Joe Patrice: Alright. Those were all the plugs we have. Thanks everybody and we will talk to you in a couple of weeks. Jared D. Correia: Hi. My name is Jared Correia. I love fondue, long walks on the beach, and I have a large collection of Grover Washington albums at my home. 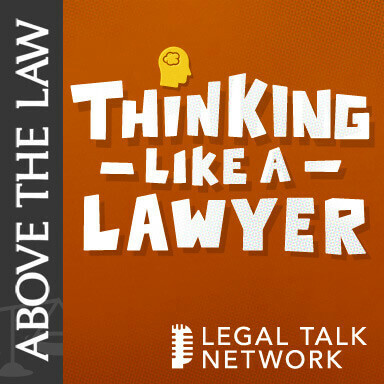 Oh, I also host a podcast on Legal Talk Network called The Legal Toolkit, where we talk about law practice management issues and Warren Zevon every month. Check us out on iTunes, Stitcher or HYPERLINK “http://www.legaltalknetwork.com”legaltalknetwork.com.